This is paid content produced for an advertiser by New York Brand Studio. The editorial staff of Daily Intelligencer did not play a role in its creation. New York City is both the stuff of dreams, and where dreams come to life. In that spirit, we sought out inspiring New Yorkers who’ve made their visions a reality — entrepreneurs who’ve not only given their all to build something from the ground up, but also are helping fellow city-dwellers through their work. We caught up with the visionary founders behind four such start-ups at the WeWork spaces they call HQ, from Harlem to Dumbo. Read on for their incredible journeys. Start Small Think Big founder and New York state native Jennifer DaSilva dreamed up a way to improve things on the homefront, ironically, during a 2008 stint abroad in Cambodia. “This was during the financial crisis, and as the economy back home imploded, I started thinking about microfinance as a way of helping people in the U.S. build small businesses,” she says. Start Small Think Big helps more than 1,000 entrepreneurs each year, and just expanded to the Bay Area in 2017. Ninety-eight percent of these small businesses are minority- or women-owned, 30 percent of the entrepreneurs are recent immigrants, and about 30 percent live below the poverty line. Business owners receive 40-plus hours of pro-bono assistance, and within a year of working with Start Small Think Big, they see annual revenue rise an average of 55 percent. What are some of the biggest challenges you’ve faced so far in founding Start Small Think Big? One of the hardest things has been getting comfortable saying “no.” Saying no to clients or partners who have differing perspectives on the value of our work, time, or expertise. As I started saying no, I found it was all that much easier to proactively seek out opportunities and clients that I’d really like to say “yes” to. Given the time difference between our NYC HQ and our new Oakland office, the workday starts on New York time and ends on California time. I spend a good portion of each day on Google Hangouts, meeting with members of my team in both offices. I’m emailing constantly. I have any number of phone calls scheduled with my board of directors, organizational partners, or current or potential funders. If I’m really lucky, I might have a little bit of space in the day to actually get some “work” done — prepare for our upcoming board of directors meeting, write a grant proposal, draft our organizational strategic plan. And every day, I take just a couple of moments to read each and every one of the applications that entrepreneurs who are seeking assistance submit. We get a couple of applications every day — hundreds over the course of the year — and each one tells a different and equally inspiring story of another entrepreneur who is working so hard to find a way to do what they love. These applications and the stories that they tell help me focus on why Start Small’s work is so critically important. Share one of your favorite success stories. One of the entrepreneurs that Start Small has worked with is Jessica Spaulding, owner of The Harlem Chocolate Factory. Jessica is a single mom with two young kids and was unemployed when she came to Start Small seeking help to start a business. We matched her with a team of volunteer lawyers who helped her to formalize her business, develop the contract she now uses with clients, and trademark her brand. We’re helping her maintain a bookkeeping system so that she can more accurately report her finances, and we taught her how to develop business projections so that she can make more informed decisions for future growth. Jessica has participated in several Start Small-organized pop-up markets, and we’ve introduced her to numerous corporate partners to provide catering and corporate gifts. When Jessica came to us two years ago, she was struggling just to make ends meet. Today, Jessica’s business is profitable and she’s recently opened up her own storefront. Jessica isn’t a lawyer. She doesn’t have a finance or marketing degree. And that’s okay. Her job is to make delicious chocolate. And our job is to make sure that entrepreneurs like Jessica have the legal, financial, and marketing support they need to build a sustainable business. 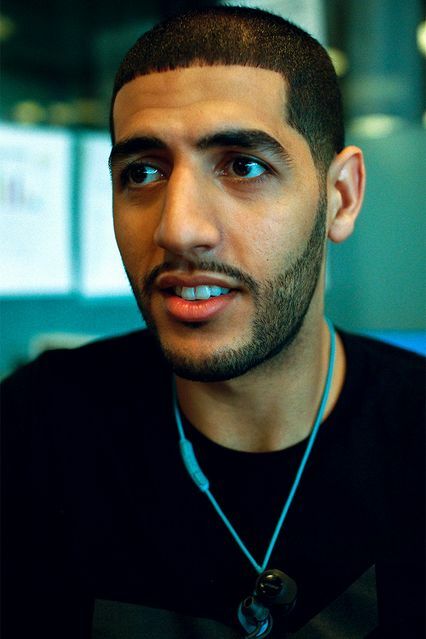 Karim Abouelnaga grew up in a single-parent, low-income household in Queens with six other siblings. His public high school had a meager 55 percent graduation rate, but thanks to strong mentorship and scholarship opportunities, he not only got his degree, but also went on to graduate from Cornell — and with a dream in the making. 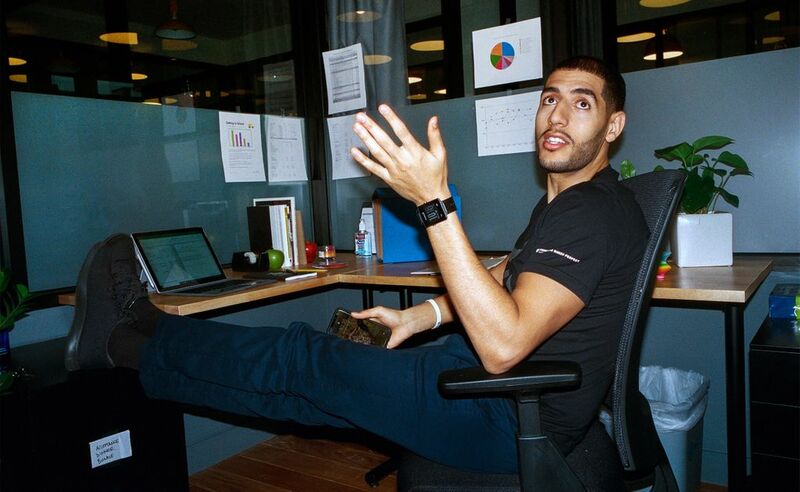 Practice Makes Perfect, which Abouelnaga founded alongside several classmates in 2011, spearheads summer programming for inner-city students across the five boroughs. He realized that summer learning loss was a profound problem in the U.S., one that was more pronounced among low-income students. A 2010-published Johns Hopkins University study concurred: Summer learning loss may account up to two-thirds of the achievement gap between low-income ninth-graders and their middle- to high-income peers. What’s more, as Abouelnaga explains in a Ted Talk, is that the effects are cumulative. “I looked at the profiles of our most admirable education reformers and realized that very few of them looked like the poor inner-city kids who were growing up just like I did. I thought I could start to bring about change through my efforts and by sharing my journey,” he says. Now, at just 26 years old, Abouelnaga heads up a year-round team of 25, and a temporary team that swells to more than 300 during the summer months. Practice Makes Perfect has served over 3,000 students to date. Tell us about the strategies you’ve implemented so far. We’ve created a culture of experimentation and continuous learning … We’ve tried merit-pay programs to see if they boost student growth throughout the course of the summer — they don’t. We’ve tried changing the number of mentors in a classroom: We had as many as one to every two students, and now have one to every 10. We used to have kids doing community service on Saturdays and now we have them engaging in service during the week with their entire cohorts. We even tried having kids as young as 10 years old be mentors in the program, and we realized it’s better when they are 13 or older since we don’t have enough time to train them. We’ve rebranded summer education. When kids are enrolled in our programs, they get cool swag bags and folders. 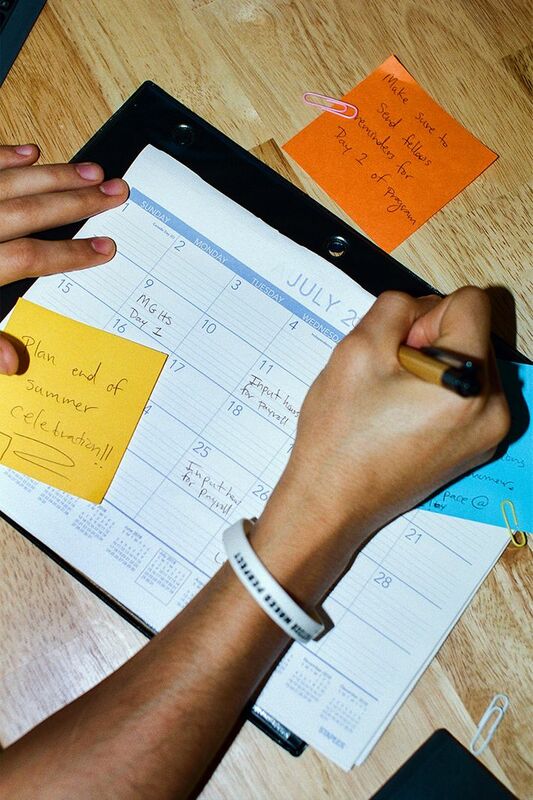 In some cases, kids will receive a letter that says “Congratulations, you’ve been enrolled in a PMP summer program” instead of the negative phone calls [or] letters home that mandate them for summer school. Can you share a meaningful success story or two? In 2014, two of our first mentors graduated from my high school — they’re now seniors at two different Ivy League schools … Both of them were first-generation, and it was probably the first time that two kids graduated from my high school and went on to Ivy League schools in the same year. Both of them are on track to graduate this year. This past June, I also got invited back to my high school to give the graduation speech. The moment was even more special when I realized the valedictorian was a mentor in our summer 2013 programs. What are some of the best things about building something in NYC? What does it mean to you to be a New Yorker, and more specifically, an NYC entrepreneur? The energy and the hustle of NYC is unmatched by any other city. Being an entrepreneur means you’re always on. In NYC, it doesn’t matter what time it is because the city never sleeps. There’s always a place to get food, another person to share an idea with. Because NYC is such a hub, there are more people passing through to network with, and traveling to raise money or spread your message is super easy because of the transportation infrastructure. Being a New Yorker is a part of my identity no matter where I go. It’s personally fulfilling to be able to serve and give back the city that has given me so much. Around 1.2 million New Yorkers live in what qualifies as deficient housing. 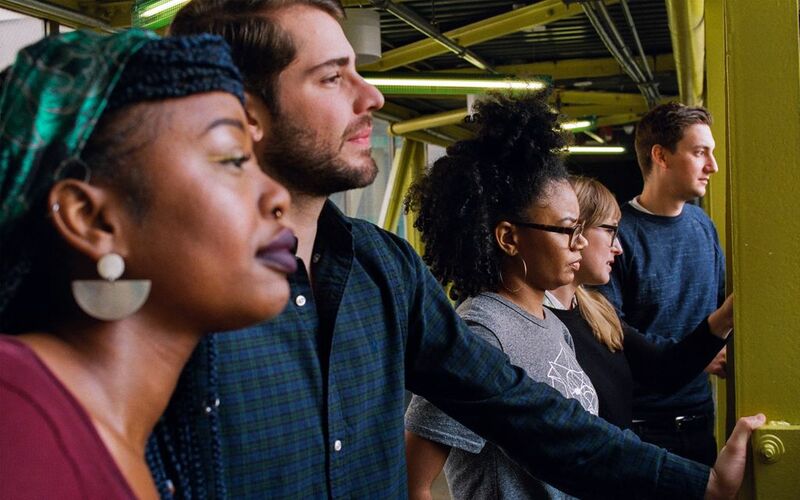 The nonprofit JustFix.nyc is looking to change this by making the city a better place to live through tech, data, community organizing, and legal advocacy. In 2015 when JustFix.nyc co-founders Dan Kass, Ashley Treni, and Georges Clement first met at the social impact incubator Blue Ridge Labs, housing was top of mind — in fact, Kass was in the midst of his own battle. “After months of reporting violations, I found myself at a local tenants union meeting. It was there that I learned about my rights and met others who were experiencing issues even worse than my own.” The trio realized a prevalent issue was the inability to create impactful housing court cases. As most tenants lack legal representation, they would come armed with photos on their phones, which judges couldn’t accept as evidence. “We realized that we could build something around these existing actions,” says Kass. Here’s how they’re addressing the problem: Tenants use JustFix.nyc to conduct inspections where they check off the issues they’re experiencing and compile photos. Then, the site will generate a recommended course of action, and if housing court is the next step, the information gathered can be used as evidence The start-up also connects users to community groups and legal services. The team — now five full-timers, including staffers Akiera Charles and Adalky Capellan, plus volunteers — has served more than 1,200 households to date. Tell us about the hard work you put in to launch JustFix.nyc. Treni: Because of the sensitive nature and complexity of people’s situations, we’ve worked very closely with our users from the beginning before ever thinking about the technology. Through in-depth research, we’ve made very intentional decisions about user experience and accessibility to make sure our tools and services can be as inclusive as possible. For this reason, we built a responsive website optimized to be viewed on a phone, but still available to those who are accessing services from public computers. Our dashboard for advocates also enables organizers to create accounts on behalf of individuals who don’t feel comfortable using the technology themselves. The website is available in English and Spanish, and we plan to incorporate many other languages with our WeWork support. Clement: It’s also a necessity to stay grounded in the work that we’re doing — sitting in an office writing code doesn’t always help to frame the context that we’re working in. So, we’ve developed ways to engage directly with users and assist the ones whose cases are too complex for the site to handle alone. We’ve recently been working with Columbia Law School to be able to staff law students in need of client experience in doing this user support. Can you share a meaningful tenant experience? Clement: Gabriella, (name changed for privacy), was born and raised in the Bronx and has been living in her apartment for 35 years with her two sons. She’s been experiencing ongoing issues with her landlord and has been taken to court twice in the last three years. Her apartment is in desperate need of repairs: There’s a cockroach infestation, cracked walls, and black mold all over the bathroom. Gabriella has exhausted reaching out to management and reporting violations through city agencies — though repeated violations have been reported on the Department of Housing Preservation and Development, and she has stipulations from housing court, the landlord isn’t addressing these issues. Gabriella used JustFix.nyc to send a personalized legal notice of complaint. She’s currently in housing court bringing a case for repairs and harassment against her landlord and is using her account to document the conditions. At the most recent hearing, the judge even remarked that she was more prepared than the landlord’s entire legal team combined. 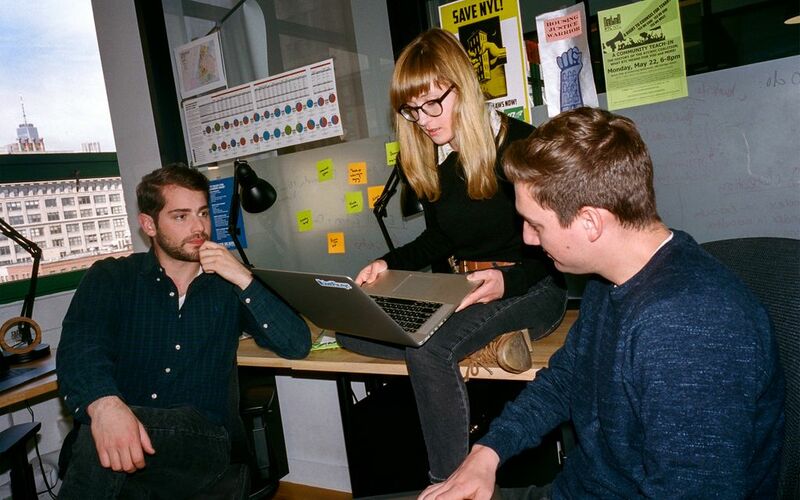 What does it mean to you to be NYC founders helping fellow New Yorkers? Kass: This organization is built by New Yorkers for New Yorkers. Our approach has been local from the start, and what draws us to this work is the idea of supporting our neighbors. As gentrification and inequality are the on rise, more and more of the communities that built this city are being driven out. We want New York to be a place where people can have a stable and healthy home without fear of harassment, discrimination, or displacement. The ability to order pretty much whatever your heart (or stomach) desires, from the convenience of your couch, is a pretty incredible perk of city living. But, what if your Friday night pizza order was more than just tasty? What if it could actually help solve critical problems? So, in 2015, Sharebite was born, and it’s since helped donate more than 170,000 meals. 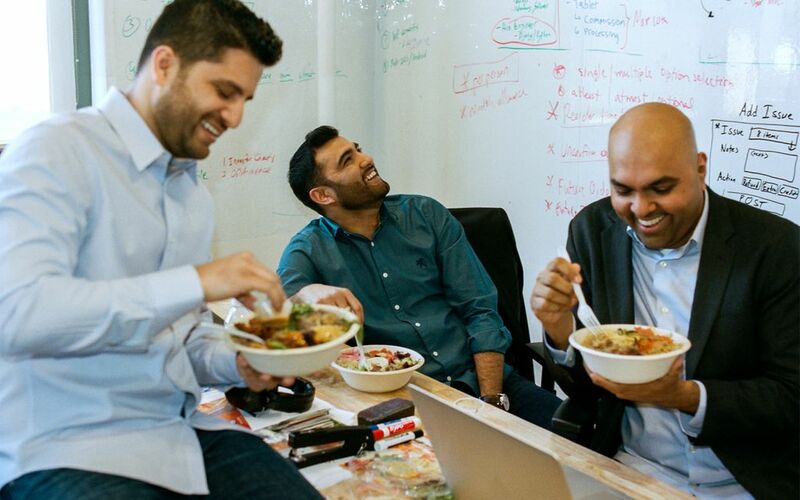 Today, Sharebite has 12 employees and over 2,000 New York restaurants on board. Tell us about the hard work you’ve put in to launch Sharebite. When we first started, building out the supply of restaurants was probably one of the biggest challenges. The issue with being a food-ordering marketplace is that the supply side (restaurants) has to have breadth and depth, or else it would be tough to get ourselves any long-term customers. As we began meeting with restaurant owners, we learned that most of them were jaded or burned by other food platforms, so it took a little bit longer for us to earn their trust. Today, we have a little over 2,000 restaurants on our platform, and we got them by going door-to-door and demonstrating our value proposition. The other challenge early on was assuming that the social mission alone was enough for customers to come pouring in. It was a typical “founder mistake” that we quickly learned from and fixed … We began to listen closely to our customers, and built what they really wanted to see in a food-ordering platform. When it comes to making a difference, can you share a few meaningful anecdotes? It’s a privilege to partner with well-run organizations like City Harvest and Grow NYC from a business perspective, but our team believes we should see the impact these organizations have first-hand. We’ve done volunteer work for Grow NYC, where we rescued food from a farmers’ market in Union Square that would have otherwise been thrown out. We can’t even begin to describe the amount of “waste” they had … We still find it unbelievable that about 40 percent of food in the U.S. goes to waste, while tens of millions people in this country face food insecurity. Our mission is to change the way New Yorkers think about hunger. People can take pride in knowing that when they order their food on Sharebite, they’re not only satisfying their own hunger, but are also helping feed others in need. 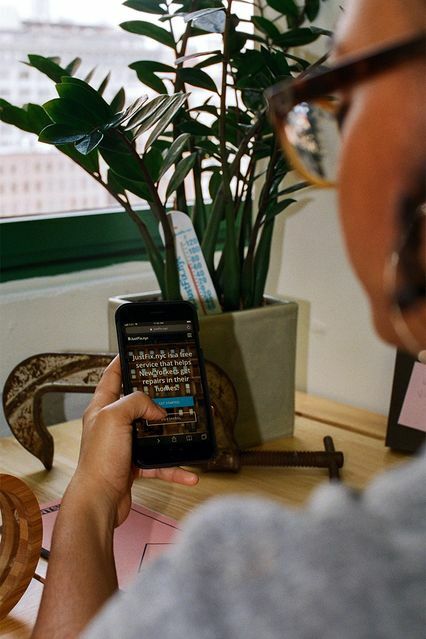 What’s the best thing about calling WeWork your homebase? As tenants, we have access to some of the most innovative, intelligent and hardworking individuals on a daily basis, where we can bounce ideas off each other or get one-off help on things that were beyond our core competencies. In November, we were awarded the WeWork Creator Award by WeWork’s founder, Miguel McKelvey. That was probably one of the more defining moments in our relationship with WeWork, as well as our trajectory as a company. I think it may have been the first time we were ever recognized for anything, so we were taken aback when they announced our names on stage. As we walked up to the stage to receive our award and addressed a crowd of approximately 2,700 people about the “why” and the purpose behind Sharebite, it validated our idea that the time for mission-driven, socially conscious companies like us, is right now.